Even though the Vive is one of the most feature-complete virtual reality headset on the market, there are various accessories for HTC Vive available designed to optimize your experience. 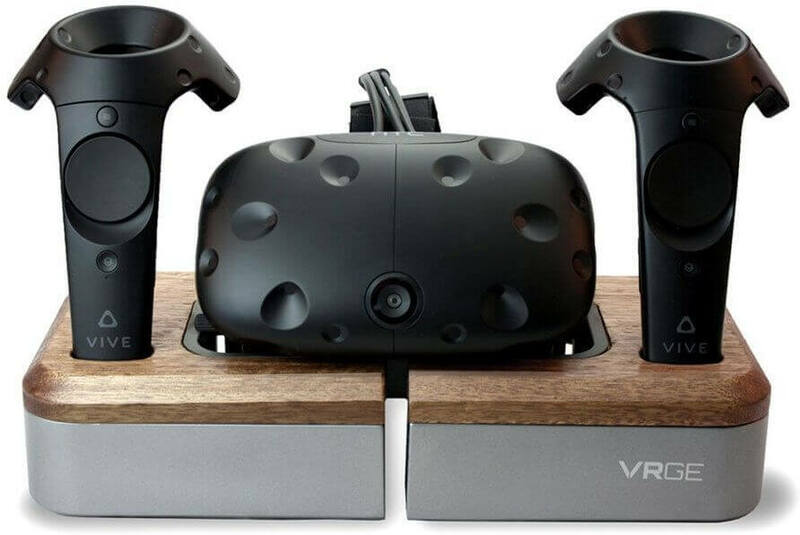 Third-party manufacturers, in cooperation with HTC, have produced many neat HTC Vive accessories which will enable you to enjoy high-end VR to the fullest extent. Some of the gadgets which made our list of must have accessories for HTC Vive aim to improve the degree of immersion. Others are simply some quality-of-life improvements for HTC Vive owners, like storage and transport solutions. Eager to improve the already awsome HTC Vive experience? In that case, let’s take a look at the must have accessories for HTC Vive which will take it to the next level! Audio plays a huge role in the world of virtual reality. In the Vive box, you get a pair of fairly basic earbuds, which don’t really provide the necessary audio quality. To achieve the more immersive VR, you are gonna have to invest in a pair of decent headphones, and the HTC Vive Deluxe Audio Strap is one of the best you can get. Deluxe Audio Strap has the over-the-ear design, featuring two headphones hanging over your ears, which are attached to the adjustable strap. The build quality is very good considering the price range, combining lightweight and flexible plastic materials with foam padding for the comfortable fit. 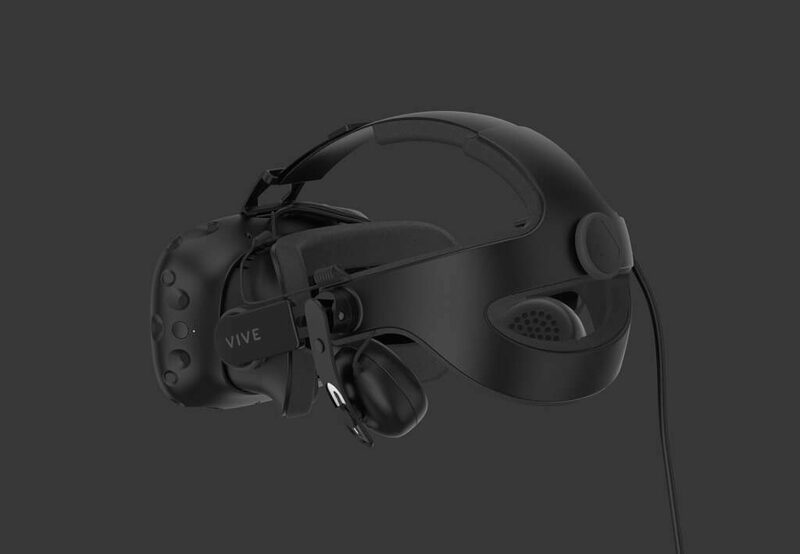 Besides the significant improvement of audio quality, the Deluxe Audio Strap brings extra comfort to your VR sessions, as it complements HTC Vive’s design beautifully. It makes putting the Vive on just a bit easier every time. You can easily flip the headphones up in order to listen to the real world around you, if it’s really necessary. HTC has officially announced the release of their own wireless adapter for HTC Vive and HTC Vive Pro in the beginning of 2018. However, it won’t be available until the end of 2018 (rough estimate), so if you are too impatient to wait for it, you can jump into tetherless VR using TPCast today! The future of virtual reality will most certainly feature wireless headsets. Probably the most annoying thing about room-scale VR setup is dealing with all the cables, and therefore the somewhat limited freedom of movement. For further explanations and installation instructions regarding TPCast, you should probably read this article. Clearly, there are few issues you may encounter with this, such as relatively short TPCast battery life. However, the benefits of wireless virtual reality by far exceed the few drawbacks every pioneering product comes out with. 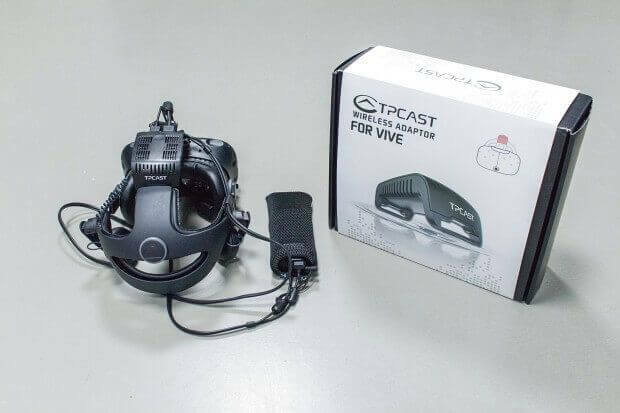 The reason TPCast made our list of must have accessories for HTC Vive is the fact that once you’ve experienced tetherless VR, you’ll be wondering how the hell were you using the original, wired version for so long! Cheap and essential accessory for HTC Vive, the set of two replaceable covers which ensure your Vive foam padding doesn’t soak up the sweat during long and intense VR adventures. HTC Vive does come in the box with two face cushions, and while they are all soft and comfy at first, over time they do collect plenty of impurities. Once they accumulate a fair amount of dirt, there is no easy way to clean them properly. The product from VR Cover on the other hand, can be washed in a washing machine, just like any other piece of cloth. It’s made of 100% cotton, meaning it will absorb any sweat and oil your skin may excrete during your VR sessions. While designing the product, manufacturers had both the hygiene and comfort in mind. The VR Cover doesn’t narrow your field of view the tiniest bit, since it adds less than 1mm to the Vive’s existing face foam. VRGE manufactured a product which enables you to organize your virtual reality hardware in style! Not only can store your HTC Vive HMD, but also charge the Vive controllers on it. The top section is made out of solid, high quality wood, polished to a satin finish. It comes in two different hues, lighter made of maple wood, and the darker one, which utilizes naturally glossy walnut wood. Soft-touch bumpers ensure you don’t damage your HTC Vive or the controllers when you put them down. This VR docking station looks really classy and it is very compact. You can simply put it on your desk or mount it to the wall with ease (the necessary wall-mount hardware is included). It is available for all of the three high end VR headsets – Oculus Rift, HTC Vive and PSVR. The version of this HTC Vive accessory comes with a pair of 6ft USB cables. What’s the point of having a virtual reality headset if you can’t show it off to your friends? Maybe you just travel a lot and decided to pick up a VR ready laptop since you want to enjoy high-end virtual-reality on the road. 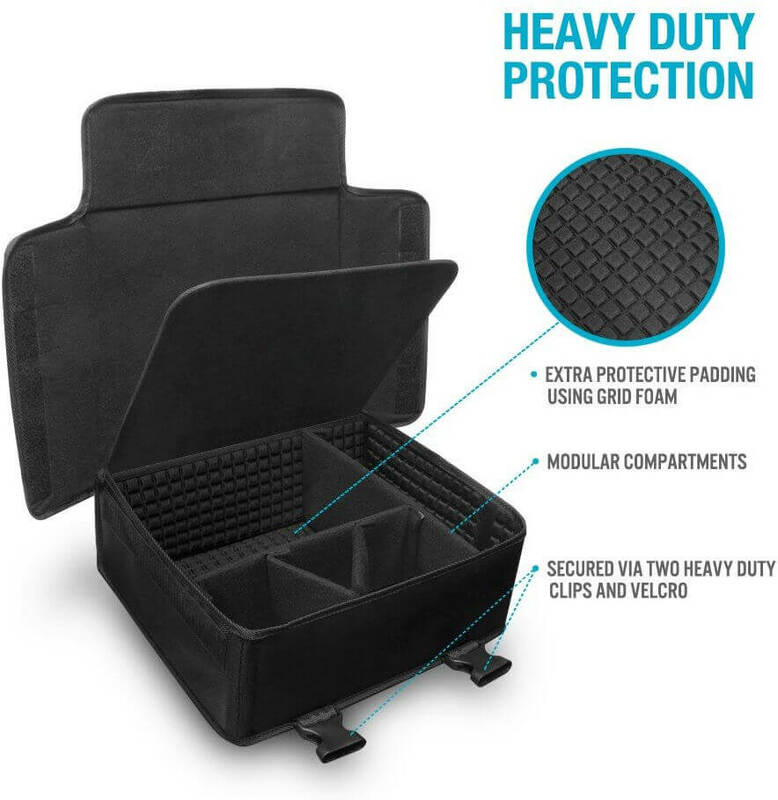 In either case, you’re going to need a proper carrying case, and the Hyperkin Polygon VR Protector Bag might be just the right choice for you. It provides heavy duty protection at a fairly reasonable price. There are, of course, plenty of carrying cases to choose from, but this particular one made our list of must have accessories for HTC Vive because of the best cost/benefit ratio. Compartments are modular, meaning you can reorganize it in order to fit other accessories inside. Last but not the least, VIVE N CHILL is definitely a must have accessory for your HTC Vive! This is an ingenious solution for one problem you cannot avoid during long and intense VR sessions – the HMD heats up after extended use, the heat is transferred to your face, hence the sweating is inevitable! You can install this accessory for HTC Vive in under a minute. It is very lightweight, so you won’t even notice the added weight, and it is guaranteed to keep your head cool! Get VIVE N CHILL now! This was VRBorg’s list of 6 must have accessories for HTC Vive! We hope that the items found on our list improve your VR experience! If you liked this article, make sure to share it on the social media! Previous articleIs the Oculus Rift Worth Buying in 2018?